Tasting Hungarian wines in Budapest is a must do for wine lovers, you can do it on the river Danube cruise or on dry land. It should not deter you that you hardly ever meet Hungarian wines in your supermarket. Hungarian wine makers are just learning about marketing, but have been making excellent wines for centuries. Tokaj wines are well known, but there is so much more to try, wonderful red wines, exciting white wines, lovely roses. 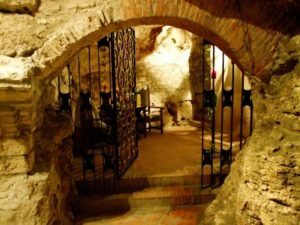 Faust Wine Cellar wine tasting is in an underground wine cellar up on the Buda Castle Hill, part of the natural cave system the Castle is built upon. It is not an actual winery, but a decent place to try some of the best Hungarian wines, with a kind and insightful sommelier host. As it is very close to the Buda Castle (Royal Palace), the Matthias Church, the Fisherman’s Bastion and more Budapest attractions, it is conveniently located for a fine wine tasting experience without having to struggle with your itinerary too much. “Absolute must!” is a unanimous conclusion in tourists’ reviews. The Danube gives so much to the city of Budapest, especially on a Budapest Wine Tasting Cruise, among others lazy wine tastings on the river Danube. 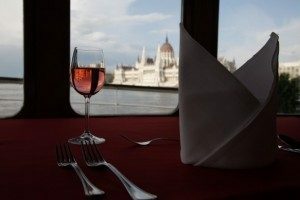 You can get on a boat, enjoy a city sightseeing on the river Danube, try 7 different Hungarian wine varieties (minimal wine explanation and footnotes). Hours vary, from 2 pm to 7pm or even late at night at 10 pm. Recommended for: those who love drinking wines at a good cost, but do not need background stories or wine explanations. Taste Hungary offers wine tasting sessions as well as actual food, wine and market tours in Budapest, and in the countryside of Hungary: day trips to other wine regions of Hungary, like Tokaj, Eger, etc. 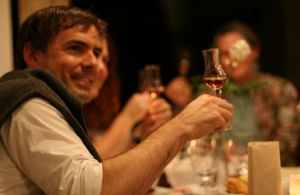 Raving tourist reviews and repeat customers ensure the high quality of the tasting tours. Recommended for: serious wine aficionados who wish to splurge on something really good when it comes to Hungarian wines.